To help you kick off a great summer weekend, I'm supplying a little musical inspiration. 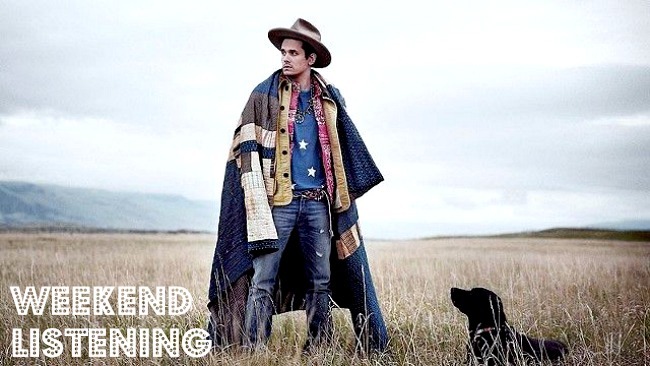 I've been listening to John Mayer's new album, Paradise Valley, all week, and it's actually rather amazing. I am admittedly a huge fan of J. May's earlier albums (Room For Squares, Heavier Things), and I think he's an immensely talented musician. I've rolled my eyes at his romantic adventures from Jennifer Aniston to Taylor Swift and now Katy Perry, but Paradise Valley comes across as sincere and soulful. I read a great review in The New York Times which helped put a lot of the lyrics and moods in place for me, so I recommend you do the same. A little bit blues, a little country and folk, it's an eclectic mix that's just incredibly enjoyable. If you're lucky enough to be heading out of town, this is perfect driving music— but hey, it's also pretty damn near perfect for making a cup of coffee in your shoebox apartment on a Saturday morning. While trying to decide what to listen to this week (i go on serious music/playlist binges) I remembered this post and LOVE the album!